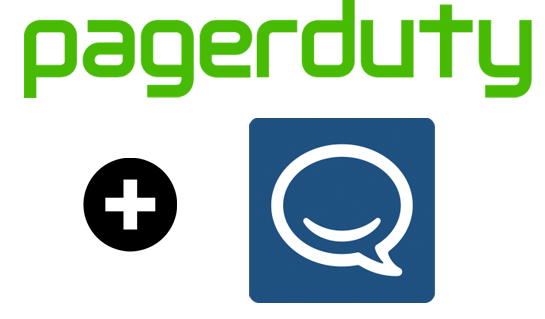 This guide will go over setting up a webhook in a pagerduty service to send updates to a HipChat room. 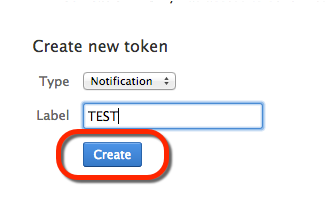 When this is set up, correctly, whenever a service is triggered, acknowledgement, or resolved a message will be pushed to your HipChat room. 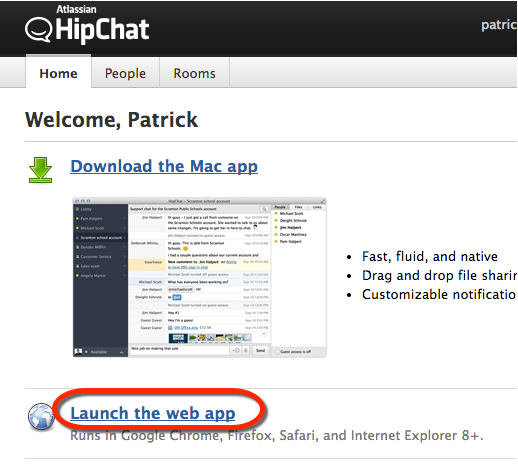 I am not going to go over how to set up Hipchat in this guide, I am going to assume you already have it set up. 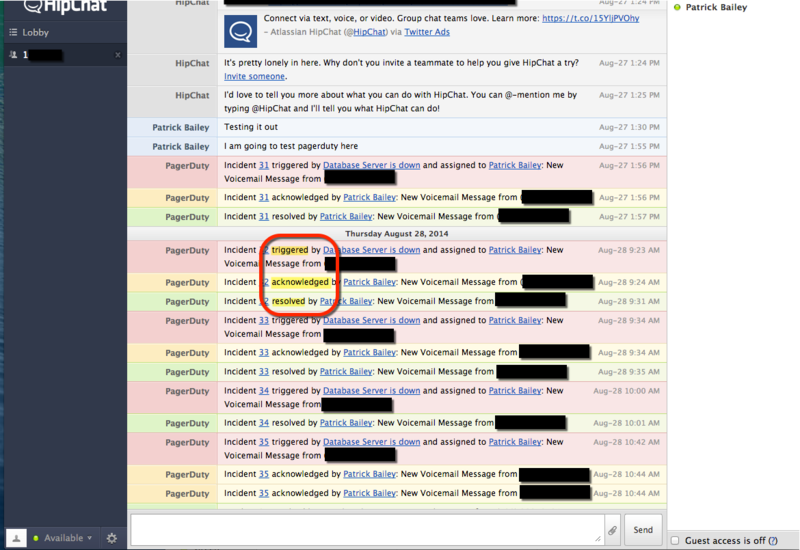 If you need some help with that I wrote this guide http://www.whiteboardcoder.com/2014/08/hipchat-getting-stared.html. 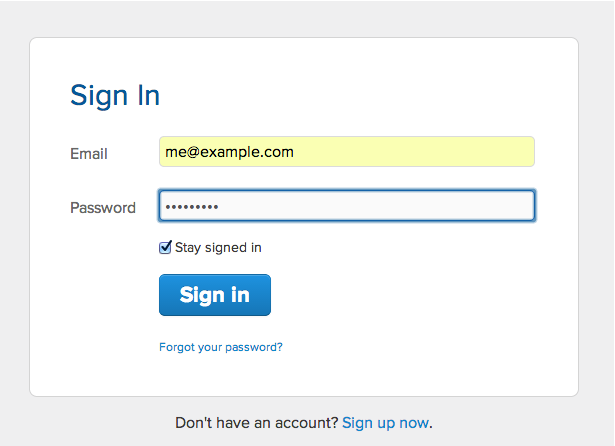 Enter your information and click Sign In. Give it a name and topic, Set it to Open and click Create Room. 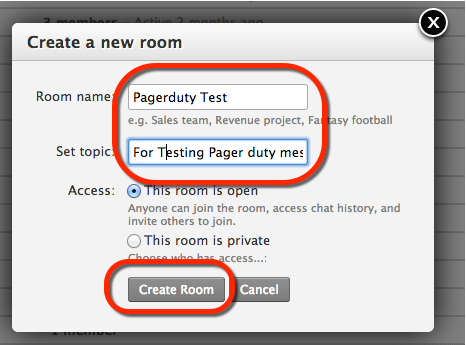 Now I have the room I want to send pagerduty updates to. 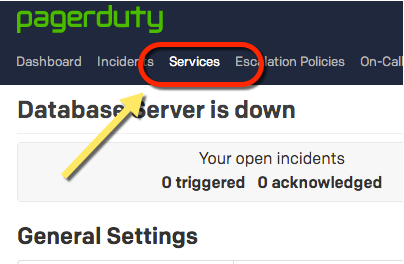 Open a service by clicking on its name. Now comes the hard part. 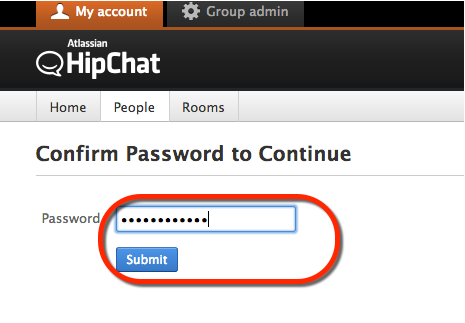 Enter in a Name for the webhook, I used HipChat. Then enter the endpoint URL. 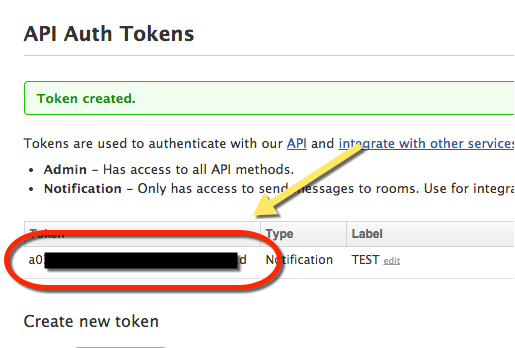 But replaces the room_id with your room id and the auth_token with your auth token. Here is the room ID. 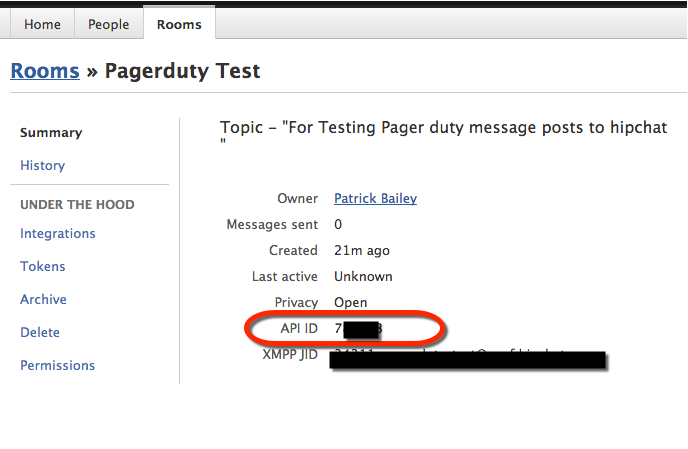 The API ID is the room ID. Click On Tokens on the left hand side. Enter a label. 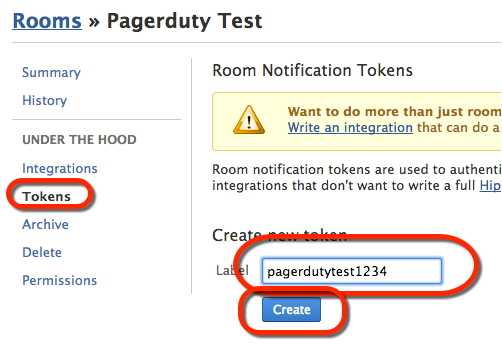 I entered pagerdutytest1234, Then click Create. A long token key is created for you. For this document assume its R4r7. 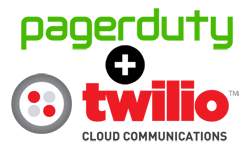 You now have a webhook! 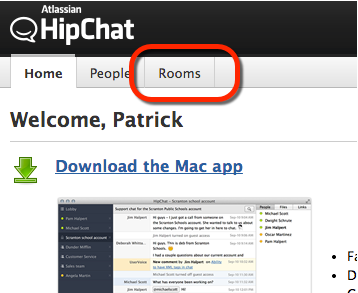 Trigger your event and see what shows up in the HipChat room. I had a token for the room and not an API key. The room id was correct. Only the HipChat Admin for your group has this Key. In my case I found it and entered it. If you are the admin here is how to locate it. Logint to HipChat as an admin. 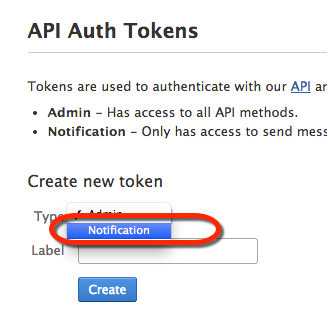 The Admin API Token is here! For this document assume its A099. This time it did work just fine! 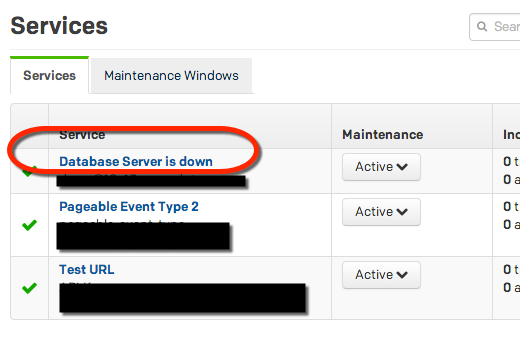 That is it, hope you got your pagerduty talking to hipchat. 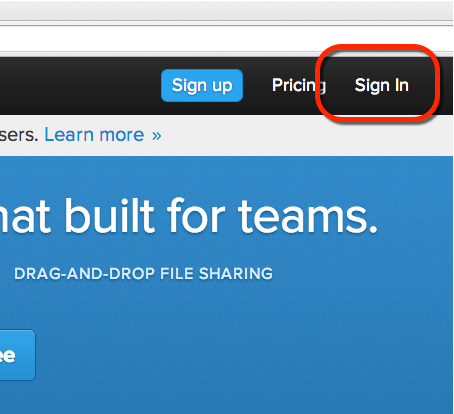 I think this is a very nice useful feature for teams.